We are pleased to announce the launch of the pre-publication records for the Wentworth Household of Wentworth Woodhouse (Wath-upon-Dearne), West Yorkshire. 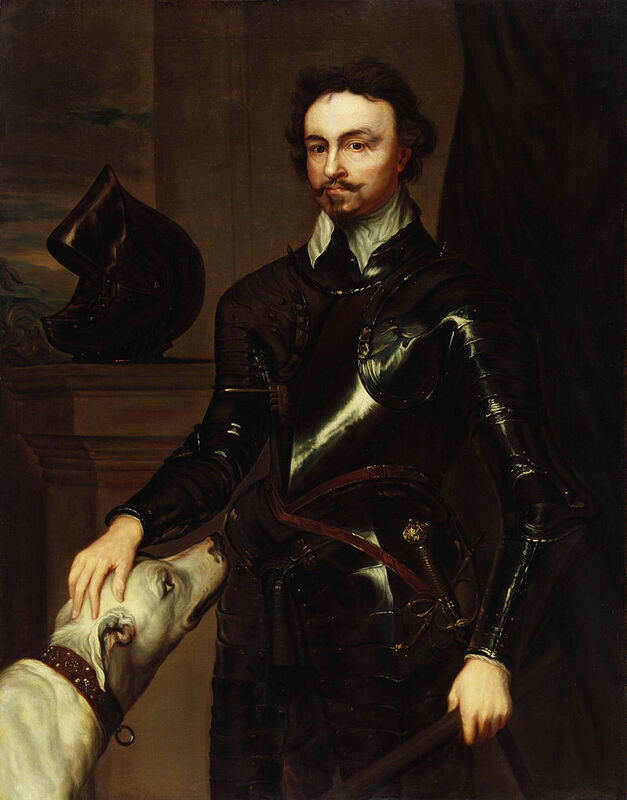 Thomas Wentworth, 1st Earl of Strafford (1539-1641), after Sir Anthony Van Dyck (died 1641). National Portrait Gallery, London. Public Domain. William Wentworth, baronet (1562—1614), was succeeded by his son Thomas Wentworth (1593-1641), 1st Earl of Strafford and Lord Deputy of Ireland from 1632-1640. A leading figure in the politics of the day, Wentworth supported the King on a number of occasions and was eventually condemned to death by Parliament and executed on 12 May, 1641. The records provided here come primarily from Wentworth’s personal correspondence, and they give evidence of a household and its inhabitants enjoying lively entertainments, plays, masques and the antics of household fools. East front of Wentworth Woodhouse (Photo by Andrewrabbott, 30 May 2015, 11:57:40), Creative Commons Attribution-Share Alike 4.0 International license. *We are grateful to the REED West Riding editor Sylvia Thomas for providing these pre-pub records. She notes that these transcriptions appear with the permission of Sheffield City Council, Libraries, Archives and Information: Sheffield Archives. The Wentworth Woodhouse Muniments are reproduced with permission from The Milton (Peterborough) Estates Company and the Director of Communities, Sheffield City Council (the Wentworth Woodhouse papers have been accepted in lieu of Inheritance Tax by HM Government and allocated to Sheffield City Council).